Landowners and land managers have a new option for seeding logging roads, decks, trails and small openings to benefit wildlife now that the Ruffed Grouse Society (RGS) has teamed up with the AMPAC Seed Company. According to RGS Executive Director and CEO Dr. Mike Zagata, RGS turned to the seed company for a selection of seed mix that will address the nutritional needs of both young and adult grouse as well as other wildlife including songbirds. Picking up the challenge AMPAC developed what it calls, �Grouse Trail Mix� adding it to its comprehensive line of top quality turf and forage seeds. The Grouse Trail Mix, which is one of AMPAC�s �Wildlife Perfect� products, features 4 types of clover as well as birdsfoot trefoil, all of which are highly palatable and nutritious for grouse and attracting the insects that are crucial for grouse chicks and many other birds. The mix also includes a small amount of chicory, a leafy plant that serves as a cover crop and is favored by deer. �Seeding logging roads and decks, trails and small openings for both soil stabilization and wildlife benefits is a common practice, even mandatory following timber harvest or other land disturbance. RGS has encouraged land managers to plant these areas with �wildlife friendly� plants, especially where timber harvest or right-of-way construction for pipelines or electricity transmission means that dense cover will be growing nearby, giving grouse and other critters a great food near secure cover. 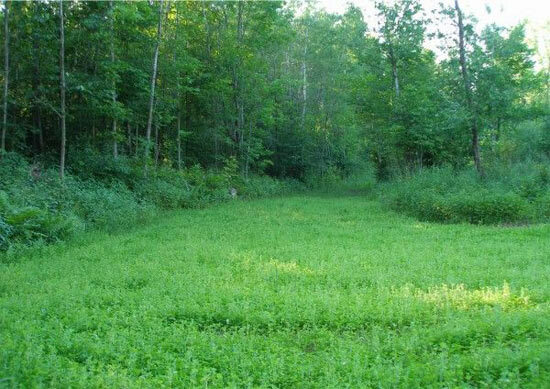 Turkeys, pheasants, deer, and bear are also known to feed heavily on clover and trefoil. In addition, the variety of clovers will make the mix adaptable to a range of climates,� Zagata said. The Appalachian Cooperative Grouse Research Project, a recent 6-year study of more than 3,000 grouse, showed that roads and trails featuring green vegetation in early spring and summer lead to more successful rearing of young grouse, which feed exclusively on insects for the first month or so of life. The Ruffed grouse population seems to be limited in the eastern mountains by the very low survival of their chicks. �On average, only about 20-percent of grouse chicks survive past their fifth week of life in the Appalachian Mountain Region. Legumes like clovers seem to be preferable to grasses, which can become too dense for grouse chicks to walk in and are not generally eaten by grouse. �This program gives us an opportunity to directly address one of the key findings of the Appalachian grouse project. Instead of merely recommending good wildlife plantings, we can supply a mix we know is suitable and of the highest quality,� noted RGS Senior Biologist Mark Banker. "The Grouse Trail Mix, an improved perennial legume and chicory blend, will improve the habitat for the ruffed grouse and other animals by providing cover and an improved food source. We have taken from the land for some time; it is now our turn to give back. With proper fertility, pH, and seed bed preparation, the Grouse Trail Mix will provide a food source not only from the plants and seed heads, but by attracting beneficial insects for 3-5 years without over seeding� said Scott Rushe, an Agronomist for AMPAC Seed Company and a RGS Red Brush Chapter committee member in State College, PA. According to Zagata, AMPAC will produce a 6 pound bag of seed designed specifically for the grouse trail mix. The 6 pound bag will easily seed � acre of ground. Planting instructions are printed right on the bag. The mix will sell for $5.00 per pound, or $30 per bag plus shipping from RGS headquarters near Pittsburgh. The per-pound price of the Grouse Trail Mix is well below the wildlife seed mixes currently available in stores. For more information on AMPAC Seed Company and tips on planting, visit www.ampacseed.com. 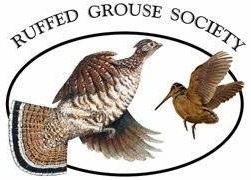 To place an order, visit the RGS website at www.ruffedgrousesociety.org or call (412) 262-4044. Information on the RGS, its mission, management projects and membership can be found on the above website.